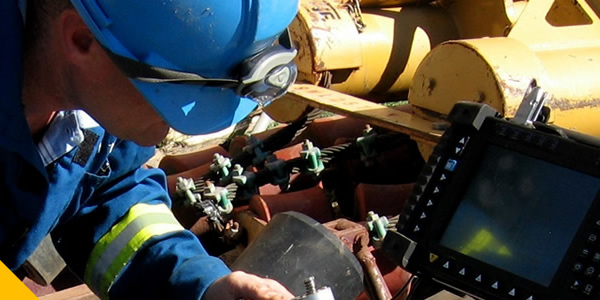 This course describes welding discontinuities and the science and application of visual testing (VT), penetrant testing (PT), magnetic particle testing (MT), radiographic testing (RT), and ultrasonic testing (UT). Topics include discontinuities and their causes, as well as the role of vision, capillary action, magnetism, radiation, and sound in VT, PT, MT, RT and UT respectively. 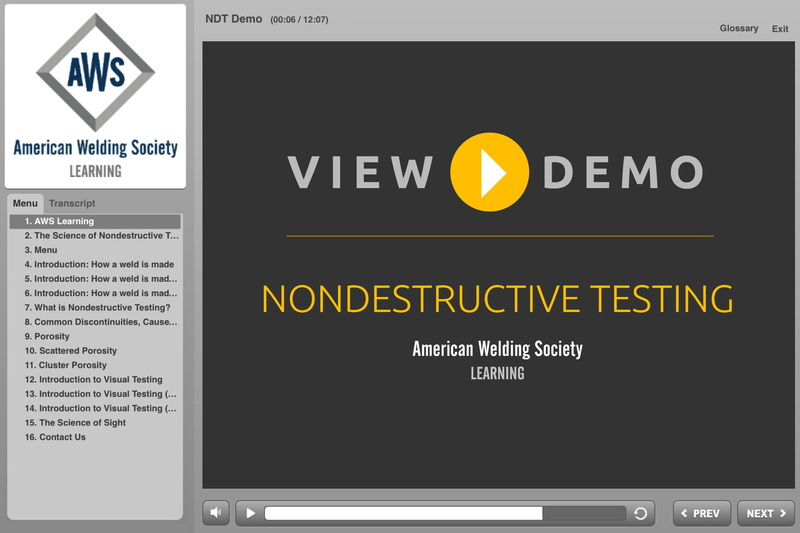 The Science of Non-Destructive Testing is perfect for both students and welding professionals involved in inspection, supervision, or quality control. No previous knowledge is required. This course presents NDT concepts in clear, easy-to-understand language and easily digestible chunks of information. We start at the beginning, explain every term and topic, and provide practice questions to ensure you understand the material. The Science of Non-Destructive Testing is ideal for both students and welding professionals involved in inspection, supervision, or quality control. Yes. Upon completion of the final course module, participants are prompted to take an exam designed to evaluate their comprehension of the subject matter. The completion exam consists of 50 multiple-choice questions and must be completed within a 90-minute period. Participants who do not attain the 75% passing score may attempt to retake the exam a second time. Participants who attain a score of 75% or more on the completion exam earn an AWS Certificate of Completion and 6 Professional Development Hours (PDHs). The AWS Certificate of Completion can be downloaded and printed directly from the webpage. Yes. Participants who attain a score of 75% or above on the Completion Exam will receive an AWS Certificate of Completion and 6 Professional Development Hours (PDHs). Yes. Participants that receive a score of 75% or above on the Completion Exam will receive an AWS Certificate of Completion and 0.6 IACET Continuing Education Units (CEUs).